In 1490 the first missionaries entered Angola and a year later the king of the Kongo was baptized by Catholic priests in Mbanza Congo, northern Angola. But long before the missionaries arrived, Angolans worshiped a supreme god along with other minor gods such as the gods of fertility, rain, and hunting. Ancestor worship, sorcery and fetishes all played and continue to play a role in local traditional religions. 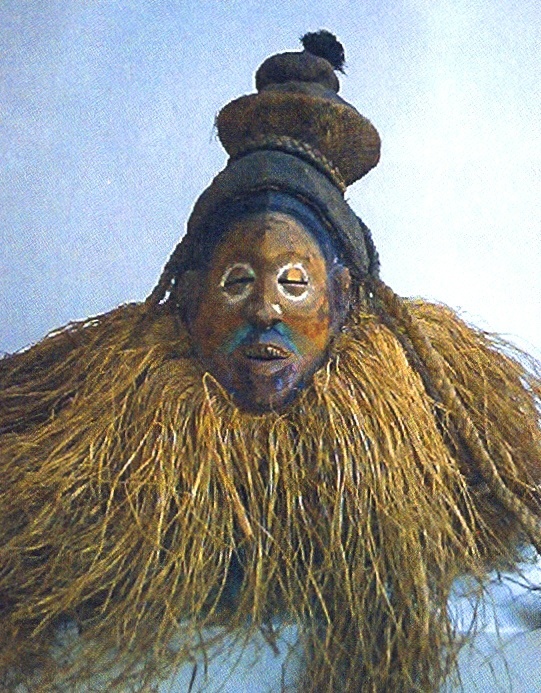 Mascara Ndemba, used by the Kikongo during rituals of manhood. Also serves as a medium between the real world and ancestral spirit world. The Angola Field Group invites you to the presentation “Religious Beliefs of Angola”, at the Viking Club, Thursday March 25, at 8:00 PM. The presentation will look at Christianity in Angola, local traditional beliefs and practices, and syncretic religions such as Kimbanguism and Tokoism, the latter being the biggest Angola-born messianic movement today that is now spreading worldwide. Our presenter, Dr. Américo Kwononoka, is a historian and the Director of the National Museum of Anthropology. He studied at the University of Agustinho Neto and began working at the museum 29 years ago in its laboratory. The presentation will be in Portuguese with simultaneous English translation. 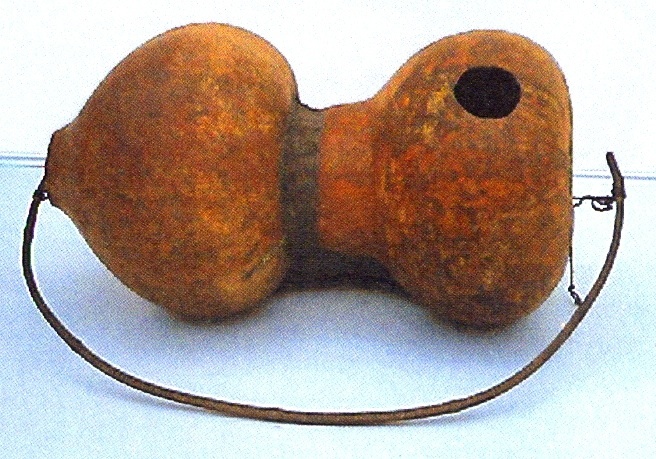 Omakola, from the Nyaneka-Humbi, a musical instrument made of gourds used during divination ceremonies and while administering magical cures. Everybody is welcome to attend this presentation. In close cooperation with the Viking Club, this event is offered free of charge. Alcoholic and non-alcoholic beverages are sold at the bar, $3.00 each. For a location map of the Viking Club visit this website’s Join Us page. The club is on the main floor of the ‘Predio Maianga’ at Rua Marien N”Guabi, No 118 in Maianga, across the street from the new Panela de Barra restaurant. 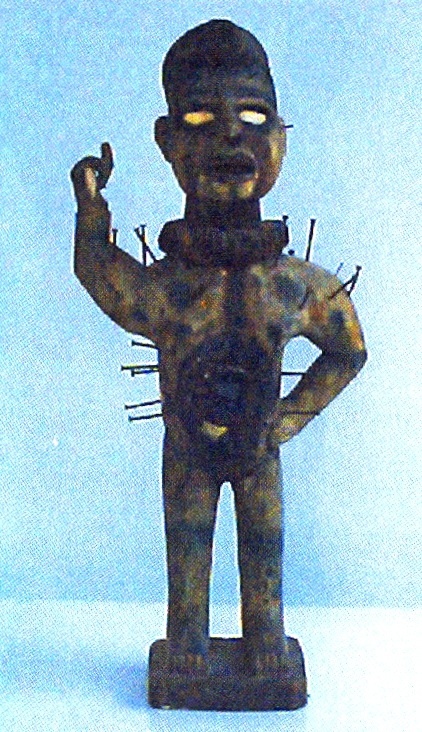 Wooden statue with a mirror in its abdominal cavity, Nkis Konde is used by the Kikongo to reveal causes of misfortune and to prove the innocence of those accused of crime. 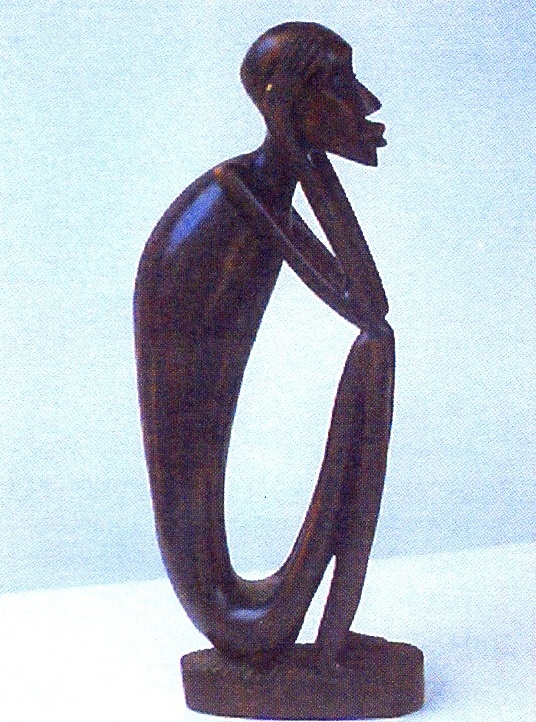 A Cokwe amulet known as Kuku, one of many to be found in a diviner's basket. Used to invoke the spirits of ancestors. According to tradition, amulets and the ancestral spirits guided the diviners in finding answers. All photos are from the Catálogo da Exposição Temporária “Crenças Religiosas” issued by the National Anthropology Museum.